I decided to make a weighted lap pad for my sensory-seeking child. 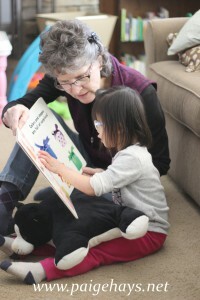 The goal with a weighted lap pad is to give sensory input (deep pressure and proprioceptive input) that can help to increase body awareness, control, and attention to a seated task (like book reading, coloring, or puzzles). As an occupational therapist, I have used lots of nice (and expensive) equipment bought from therapy catalogs, but I wanted to find a way to do this at home without buying expensive supplies, so that I could share it with other parents to do at home as well. While I know this is not a perfect product, it is fast, simple, and practical. For more information on the benefits of weighted equipment for children, see this article from OT Advance, Benefits of Weighted Products for Managing Sensory Processing Disorders. 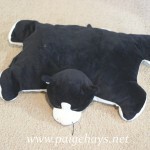 Old stuffed animal, large enough to cover a lap. I found a great “kitty” that was large and flat- perfect! 3-5 lbs of rice (or beans/ corn/ similar item is ok- find something cheap that you can buy in bulk). If you need it to be washable, look online or at the craft store for Poly-pellets. 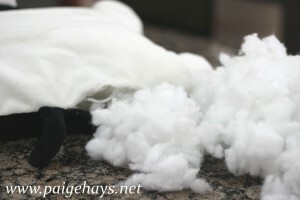 Convince your child to let you cut open an old stuffed animal. 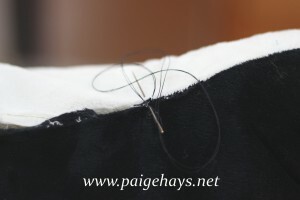 Make a small slit on a seam using small scissors. Cut it open about 4″, just remember the more you cut open the more you have to sew up later. Remove about 1/3 the stuffing to make room for your rice-filled socks. 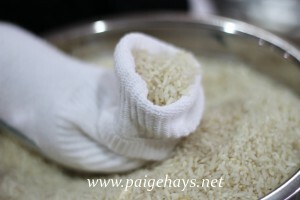 Fill a sock about 2/3 full of rice. This can get messy, be careful. 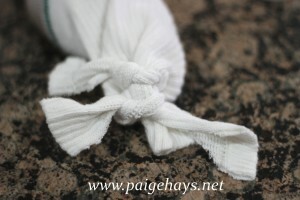 I tried initially to make smaller bags of rice using toddler socks, but they are too small. Stick to using adult-sized socks. Don’t fill to full, otherwise they get too stiff to be comfortable as a lap pad. 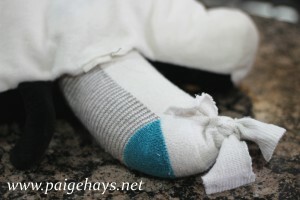 Cut open the top of the sock into 4 pieces, about 3-4″ deep for the cuts. Knot 2 pieces together, then the other 2. Put in as many knots as possible for security (I could get 3-4 on each.) 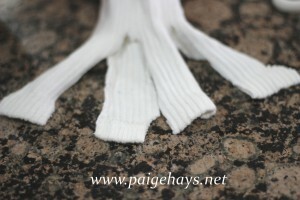 If you have a sewing machine, it would be easy to sew a straight seam to close up the sock. 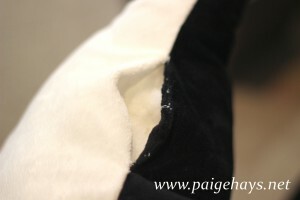 Add back in as much stuffing as you need to make your animal cozy again. How does this compared to a store-bought version? 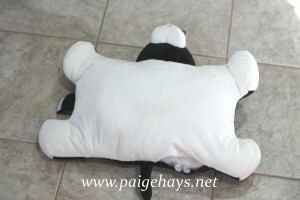 Similar lap pads or stuffed animals cost $30-60. This version costs under $5 if you recycle some supplies from home (assuming most people have a stuffed animal and old socks at home). The advantage of store bought version is that they are often washable because they are filled with plastic pellets. 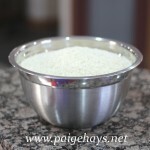 A homemade version with rice or beans cannot be washed fully, but could be spot cleaned. You can buy the plastic pellets online for about $10 for 2 lbs, which may be my next project if using this weighted lap pad/stuffed animal proves to be helpful for my daughter. Want to share this with parents or therapists? Here is a 1 page pdf to print and share!